Ornamentation - Endless Knot — Rees Harps Inc. 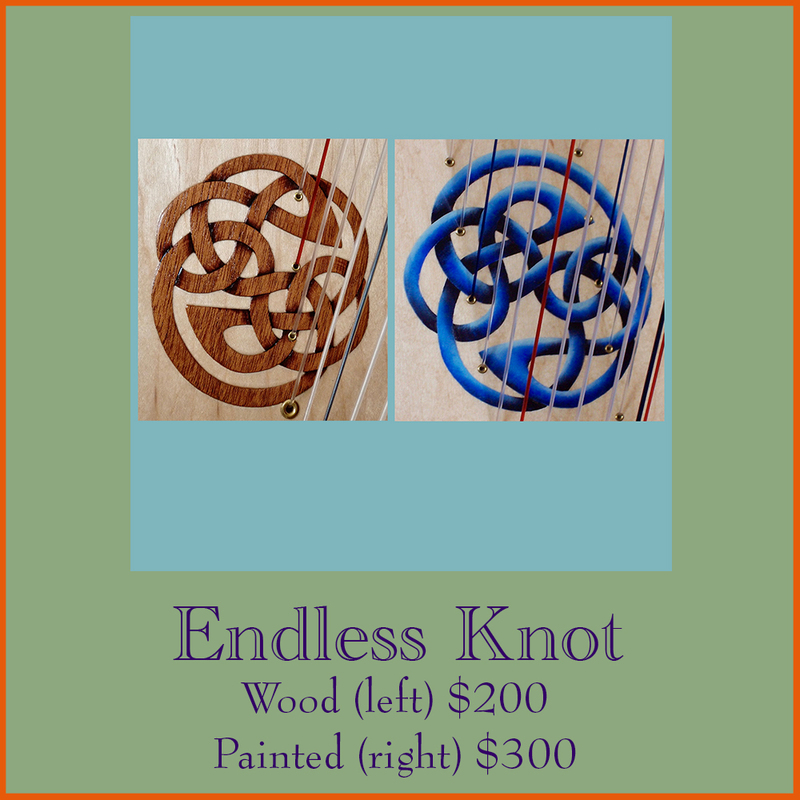 The additional cost of having the Endless Knot ornamentation added to your harp is $200 in wood and $300 hand painted. Note: If you opt for adding this option you will be making a 25% downpayment in accordance with the Rees Concert Line Harps Terms and Conditions.